POS that's easy to learn, easy to use. Featuring a user-friendly interface design, Xpect's point of sale module is easily operated by even the most inexperienced staff. Helpful wizards guide your salespeople through most processes quickly and efficiently, assisting with all of the standard transactions. View the sales of all stock items for a selected branch and period. 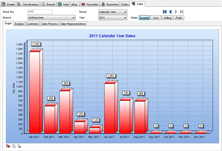 Master Stock quantity reports generate a rolling 4-week sales history and sales forecast. You can also view the same report, listing all items from a specified supplier. View all sales for a selected branch or period and also drill-down to view sales figures for individual items. 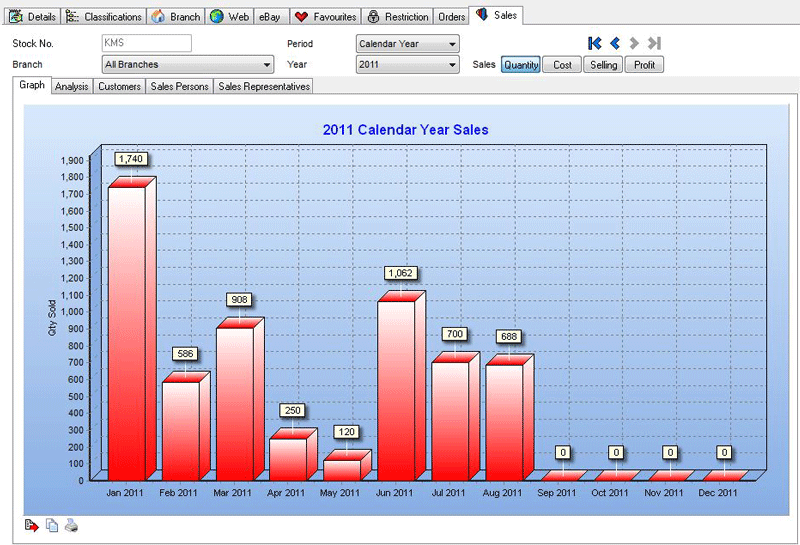 The 'Analysis' tab shows raw, numerical sales values for the selected branch and period. Under 'Customers', see exactly who has purchased the items. Xpect is fully e-commerce enabled, making the launch and management of a web store easier than ever. No need to maintain separate product descriptions and pricing for your retail stores and online stores, simply publish the information you choose directly to your website from Xpect.